Weekly Event - Prize Counter! Thread: Weekly Event - Prize Counter! The Events Department brings to you a Weekly Prize counter! Lots of goodies up for grabs and lots of fun to be had, get excited and come on down. Thursday 13th September @ 22:00pm BST and EVERY Thursday after that! 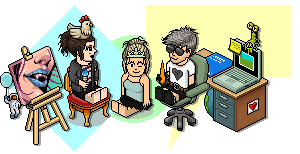 Search Habbox or Hx.Ben in the Room Navigator! If you are interested in joining the events department, please contact myself or FlyingJesus. Last edited by Ozad; 11-09-2018 at 12:46 AM.